This season, big brands like Stella McCartney and Catimini, and emerging labels such as Limitedoudou and Little Horn apply colorful fruit patterns to kidswear. This report introduces some kinds of fruits which are recreated for playful motifs. We are sensitive about colors which are expressive and could influence our emotions. Attention-grabbing tones are key to attract customers. 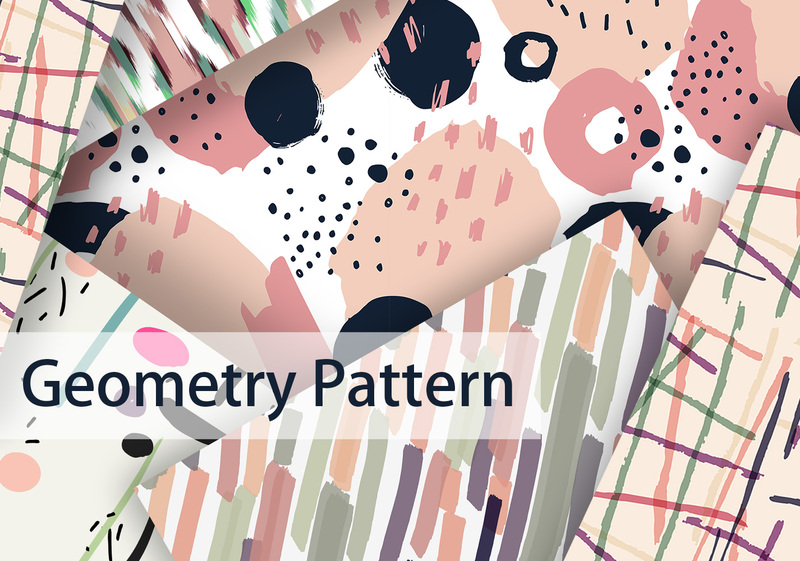 Colorful abstract patterns breathe life into items. Classic checks are perennial and work well for wearers of all ages. They are nostalgic and stylish. 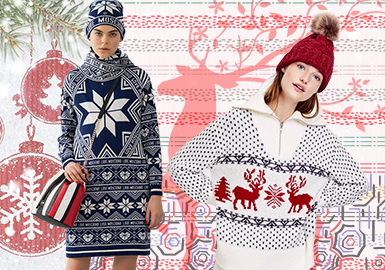 The patterns liven up knitwear on catwalks. Resort elements at seaside are common. Tropical plants bring the summer mood. Retro hand-drawn style is prevalent. 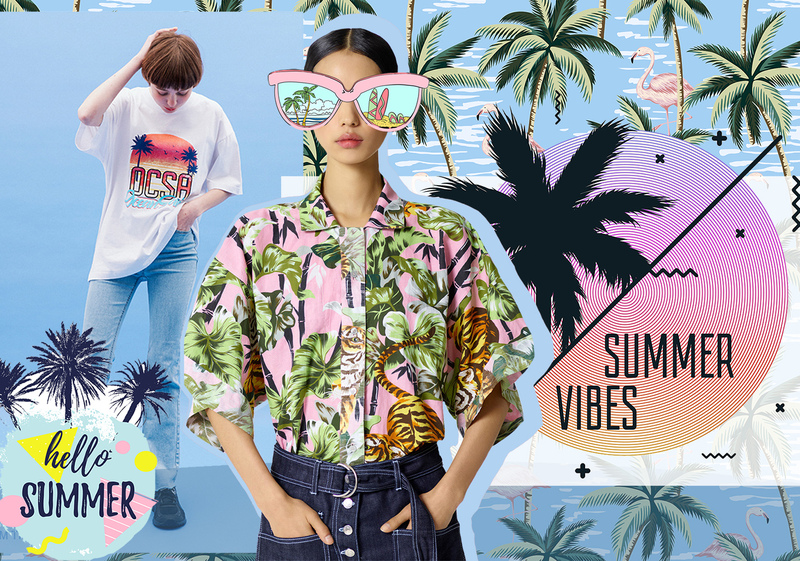 Individual illustrations and fresh all-over patterns deliver a tropical resort feel. Everyone must have some clothes with letters on. Hand-drawn letters are still prevalent in fashion. The cool handwriting makes letters artistic. Letters, large or small, can be applied to all items to make a statement. Simple doodles record the fun scenes of life. 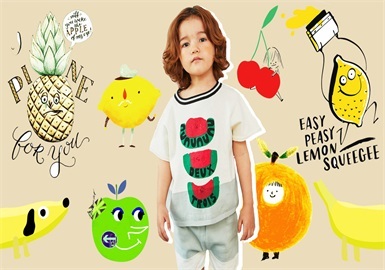 These playful and causal patterns are ideal for kids' T-shirts. 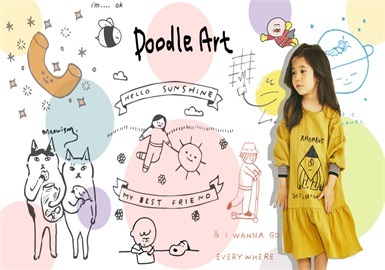 This report gathers many interesting doodles to liven up kidswear. 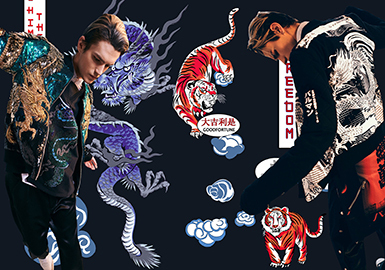 Flowers, fancy carps, dragons are tigers with an oriental edge are used by big brands. Brands like Balmain, Dior Homme and Valentino apply eastern elements on recent catwalks. To welcome the 2020 Tokyo Olympics, oriental style will gain momentum. 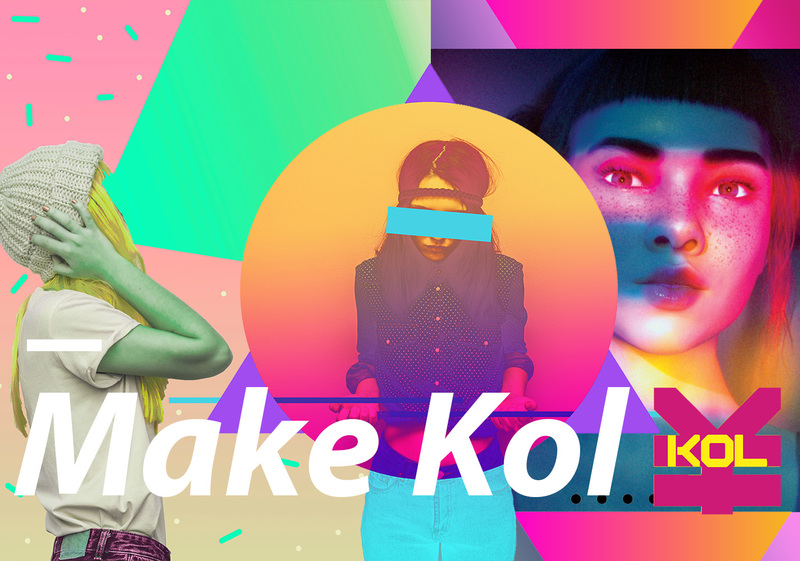 Internet celebrity economy is a hot topic, and high technology contributes to the rise of virtual KOL. Ombre, laser or neon colors are key. 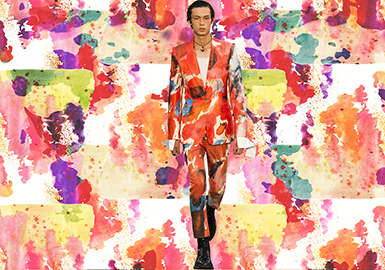 Saturated tones give a technical take, teaming with tie dye, digital print or puff print to make a statement. The navigation horn has been blown. The journey for the brave has started. Will little pirate or experienced Captain white beard get the treasury? The answer is in this season's kidswear patterns of Catiminihe and Hatley. 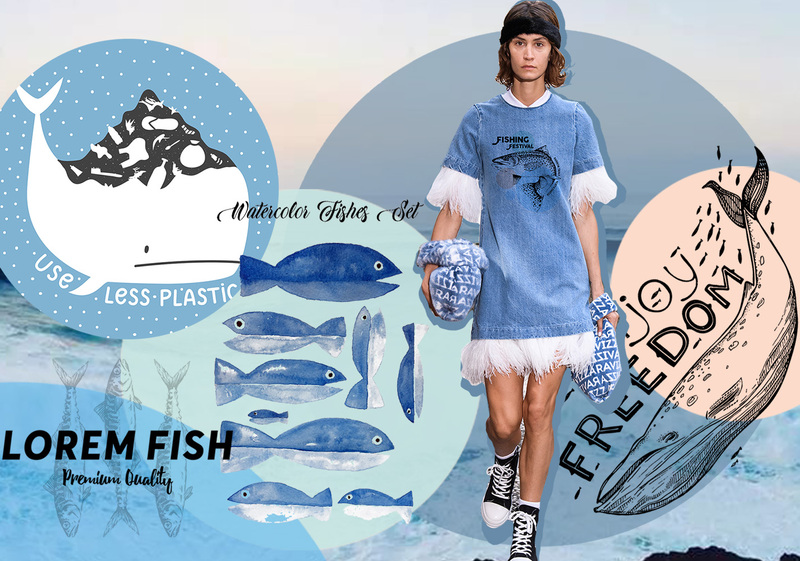 This report looks for new ideas from sea-style patterns designed by name brands. 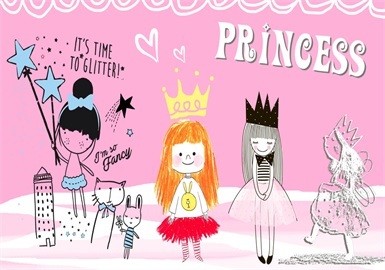 All girls have a dream of a princess. They are cute, kind and have a variety of hobbies. Brands like Sonia Rykiel provide inspiration for patterns about vivid girls. It is a little panic-stricken if some insect creeps on you. 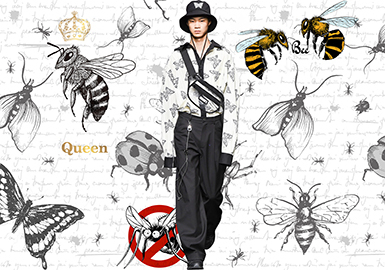 What if some brands put insects on your clothes? Since the popularity of insects, designers always applied insect patterns such as butterfly, moth, dragonfly, and beetle. Items full of insect patterns are stylish. Classic styles with insect patterns on chest are youthful. Portraits continue to prevail, frequently seen in markets and on catwalks. 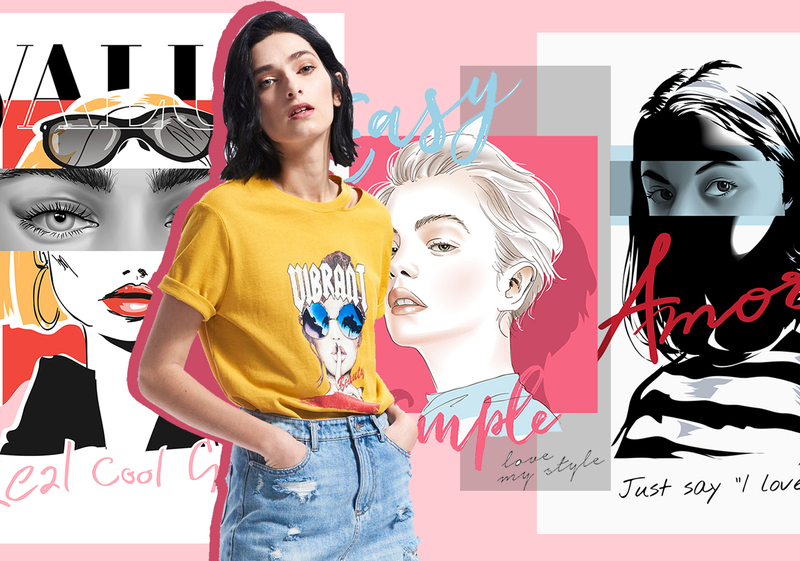 Realistic illustration, photo and text are arranged in distinctive ways to reflect fashion attitudes. Ocean is boundless. The patterns below take inspiration from art drawings. The fishes and other marine creatures are playful and artistic. 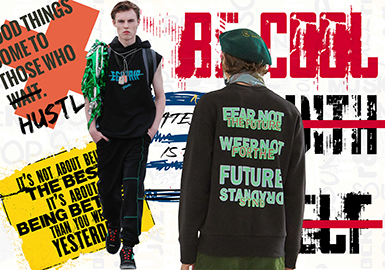 They combine with words, logos or slogans to make a statement. As military style continues to prevail, camouflage items are covetable, seen on catwalks of big brands. 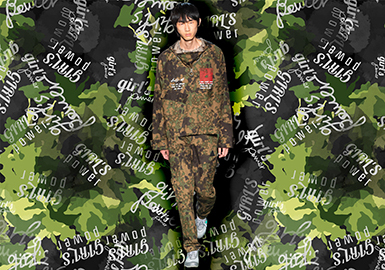 The combination of all-over camouflage with word, logo or pattern is fresh. Slogans or flowers can also be used to breathe new life. Birds are flying in the sky and singing in the forests. They feel elegant in colored feathers and brisk postures. 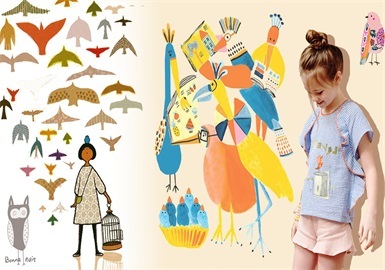 Brands like Gucci and Oilily provide inspiration for bird patterns, ideal for kidswear. Sketchy portraits are still hot. 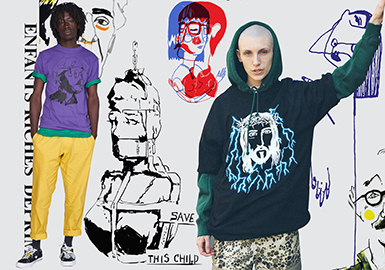 Line drawings interpret different facial expressions, breathing life into graphics. 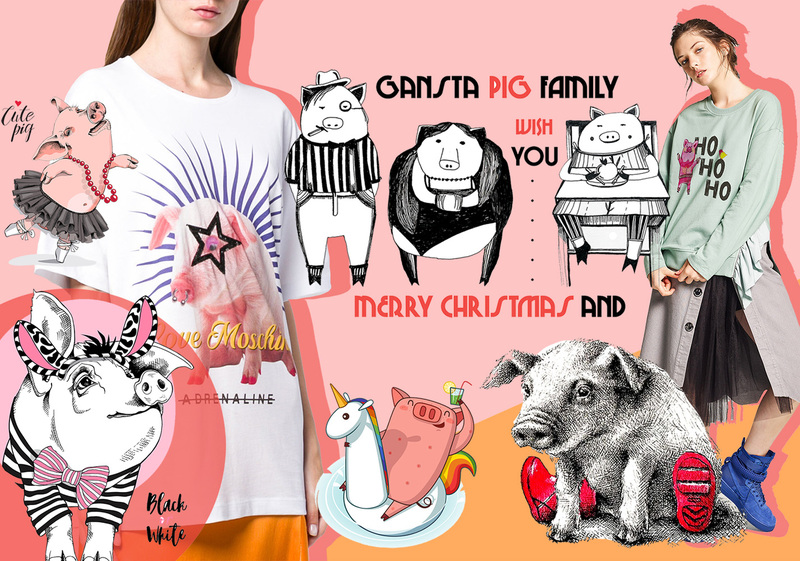 As the upcoming 2019 is the year of pig, pig patterns will see an uptrend. The lovely animal is seen in different styles, feeling cool or sweet. 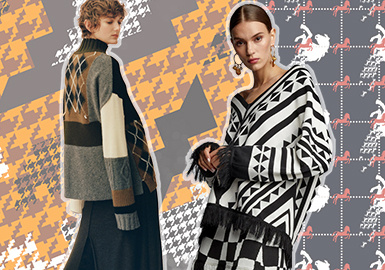 The patterns below provide inspiration for womenswear. This season, swimwear chooses simple and easy-to-wear silhouettes. Innovative design emerges, perpetuating the perception of newness on the shop floor. Block-print tropicals provide an alternative to ubiquitous botanicals. What is the weather like today? Weather is a matter of great concern for the public. From sunshine, lightning, thunder to rainbow, the natural world is fantastic. 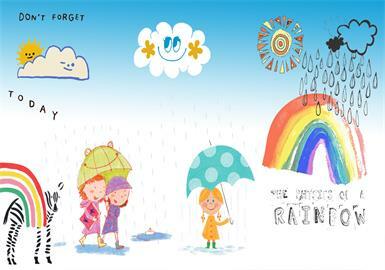 This report is all about how weather patterns are applied to kidswear. Lettered patterns are diversified, and prevalent all the time. The aim is to be eye-catching. 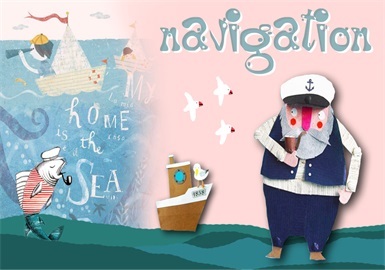 Letters, hand-drawn annotations and overlaying of letters are mixed to present totally new patterns. Delicate desserts are essential at leisure time. French fries, cakes, cokes, milk teas and ice creams bring fun. 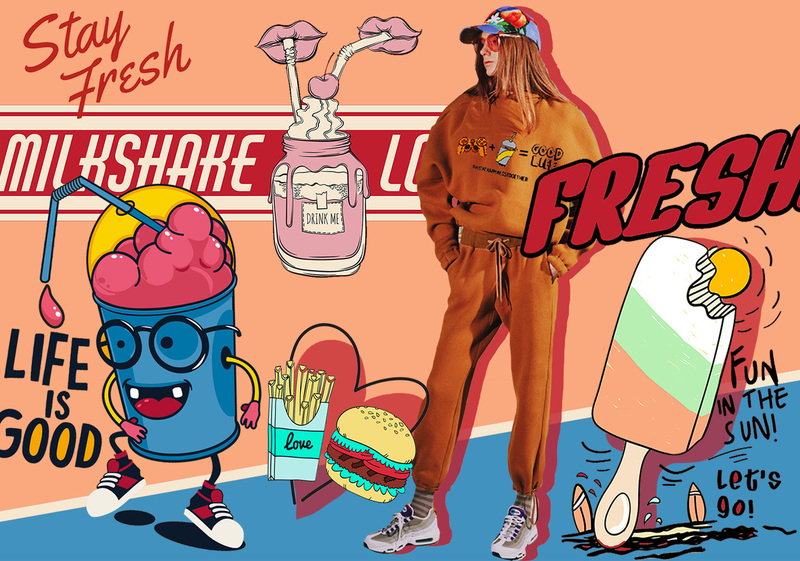 Illustrations mix with words to create a funky and retro style. Keeping a pet could teach children how to care others. Cats, dogs and rabbits are most popular. 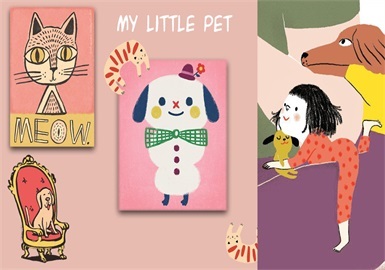 Here are simple and lovely pet patterns for kidswear. Moschino knows how to play with geometric drawings. Random brushstrokes create lines and dots. The natural styles feel fresh and delicate, working well for printing.